The Think Tank team from Kennedy’s MESA Club (Mathematics-Engineering-Science-Achievement) will be traveling to Google Headquarters in Mountain View on April 13 to compete in MESA Regionals (covering San Jose, SF, Stockton, Sacramento, East Bay, and Ukiah). 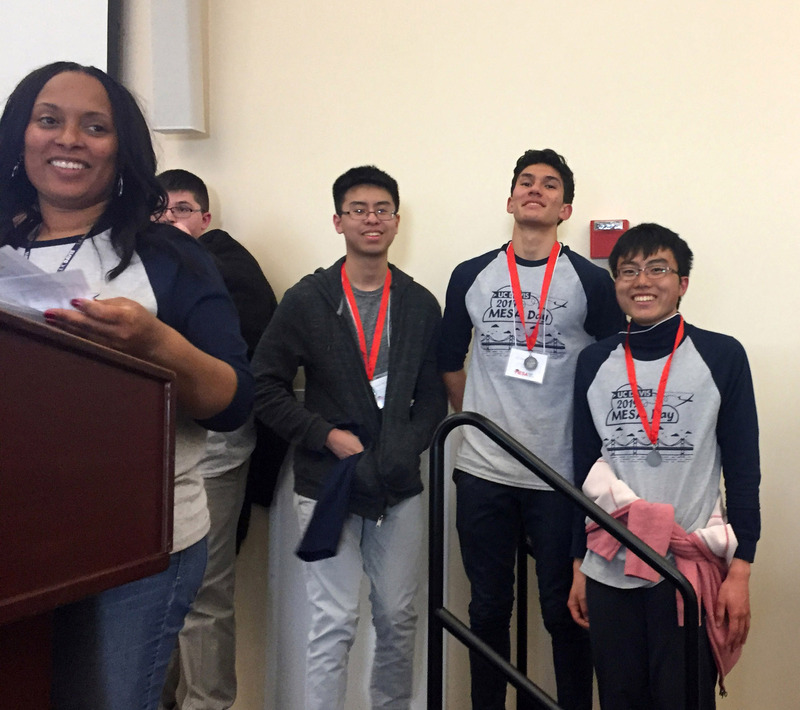 The “Tank Team” (pictured, l-r, Aaron Kwong, Andrew Hunsaker, Mugita Kurosaki, Class of 2020) earned 1st Place during preliminary competitions with several area high schools at UC Davis in March. Other MESA results, and accompanying categories, from Davis preliminaries include 1st Place (Concrete Disk), 2nd Place (Ultimate Disc), 3rd Place for Creativity & Design (Civil Structures), 3rdPlace (National Engineering Design Challenge).